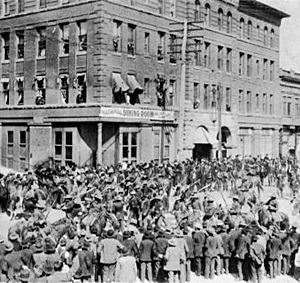 1894 – The Cripple Creek miners’ 5-month strike, led by the Western Federation of Miners, began in Cripple Creek, Colorado. The strike was characterized by firefights and use of dynamite, and ended after a standoff between the Colorado state militia and a private force working for owners of the mines. 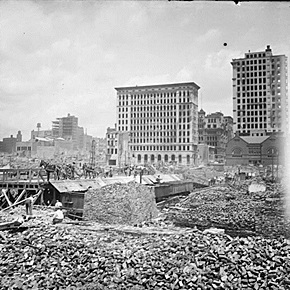 1904 – A fire in Baltimore, MD destroyed over 1,500 buildings in 30 hours, leaving more than 70 blocks of the downtown area burned to the ground. Fire was reported first at the John Hurst and Company building on West German in the western part of downtown Baltimore and quickly spread. It quickly became apparent that the fire was outstripping the ability of the city’s firefighting resources to fight it, and calls for help were telegraphed to other cities. One reason for the fire’s duration was the lack of national standards in firefighting equipment. Fire crews and fire engines came from as far away as Philadelphia and Washington but the crews brought their own equipment. Most could only watch helplessly after discovering that their hoses could not connect to Baltimore’s gauge size of water hydrants. 35,000 people were left unemployed. Over $150 million ($4.24 billion in 2019 terms) worth of damage was done. Remarkably, there were no official deaths. 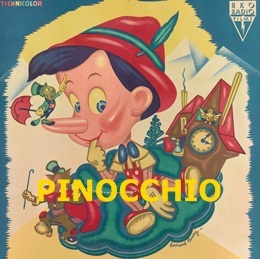 1940 – Walt Disney’s Pinocchio was released to theaters by RKO Radio Pictures. The movie was a groundbreaking achievement in the area of effects animation, giving realistic movement to vehicles, machinery and natural elements such as rain, lightning, smoke, shadows and water. Although it became the first animated feature to win a competitive Academy Award – winning two for Best Music, Original Score and for Best Music, Original Song for When You Wish Upon A Star – it was initially a box office disaster. Today it is considered one of the greatest animated films ever made. 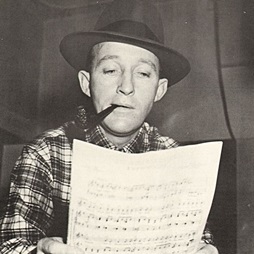 1944 – Bing Crosby recorded Swinging On A Star for the film Going My Way. It would win an Academy Award Best Original Song. Star Factoid: The Williams Brothers Quartet, including 16-year old Andy Williams, sang backup vocals behind Crosby. In the video below, the brothers appear on the screen beginning at the 55-second mark. Andy is the brother at the bottom. 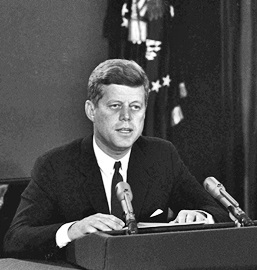 1962 – President John F. Kennedy imposed a full trade embargo on Cuba. The embargo included all imports of products containing Cuban goods, even if the final products had been made or assembled outside Cuba. 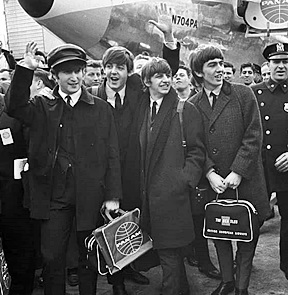 1964 – Pan Am Flight 101, carrying The Beatles on their first visit to America, touched down at JFK Airport in New York City. The group was met by 5,000 teenagers, 200 members of the press and more than 100 New York City police officers. Two days later, the band performed for the first time in America, on the Ed Sullivan Show. Photo Factoid: The woman in the photo at the top of the column is Jill Kellogg. 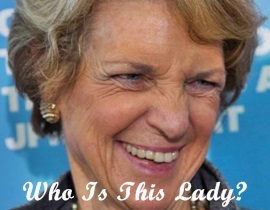 She was the Pan Am stewardess who served the band in first class on that momentous flight. It was a day she would never forget. “Paul was the most active of the group, not only talking to others, but also photographing passengers and crew alike, myself included. I often wish I had some of those photos. What fun to cement a lifelong memory! John was the quietest of all while Ringo and George seemed to be enjoying themselves, moving around and talking with other passengers. 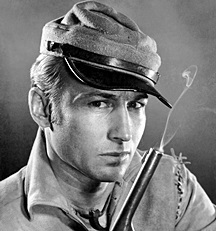 1968 – Actor Nick Adams died from “paraldehyde and promazine intoxication” along with the notation “accident; suicide; undetermined”. He was 36. His early Hollywood career was not filled with great success. He had minor roles in Mister Roberts, Rebel Without A Cause, Pillow Talk and Picnic. His biggest claim to fame was his role as Johnny Yuma, a wandering ex-Confederate soldier, in the television series The Rebel, which ran for two seasons. 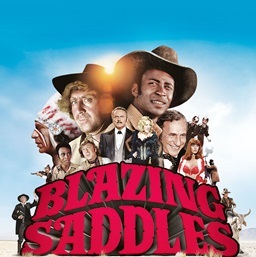 1979 – Blazing Saddles, starring Gene Wilder and Cleavon Little, premiered at the Pickwick Drive-In Theater in Burbank. Richard Pryor was director Mel Brooks’ original choice to play the role of Sheriff Bart, but the studio, claiming Pryor’s history of drug arrests made him uninsurable, refused to approve financing with him as the star. John Wayne was the first choice of Brooks for the role of the Waco Kid. Filmed on a budget of $2.6 million, the film grossed $119.5 million at the box office and earned three Academy Award nominations, including Madeline Kahn for Best Supporting Actress. 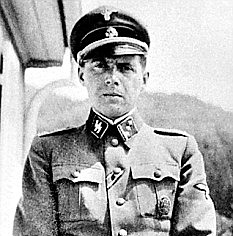 1979 – Josef Mengele, SS officer and physician at Auschwitz concentration camp during World War II, suffered a stroke while swimming and drowned at the age of 67. The “Angel of Death” performed deadly human experiments on prisoners and was a member of the team of doctors who selected victims to be killed in the gas chambers. Arrivals that were judged able to work were admitted into the camp, while those deemed unsuitable for labor were sent to the gas chambers to be killed. With Russian troops sweeping through Poland, Mengele was transferred to the Gross-Rosen concentration camp on 17 January 1945, just ten days before the arrival of the Soviet forces at Auschwitz. After the war, he fled to South America where he evaded capture for the rest of his life. 1984 – During the mission of STS-41-B, astronauts Bruce McCandless and Robert Stewart made the first untethered spacewalk using the Manned Maneuvering Unit. 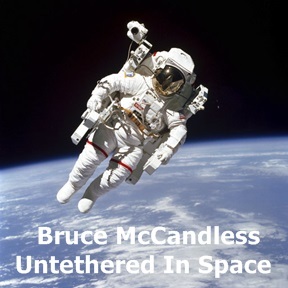 McCandless ventured out 320 feet from the orbiter, while Stewart tested the “workstation” foot restraint at the end of the Remote Manipulator System. 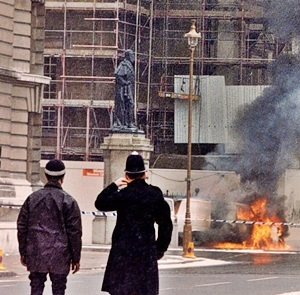 1991 – In an attempt to assassinate Prime Minister John Major and his War Cabinet, the Provisional IRA launched a mortar attack on 10 Downing Street in London, the official residence of the Prime Minister. One of the heavy mortar shells launched from a van 200 yards from the residence exploded in the back garden, only yards from the cabinet office. Due to the bomb-proof windows, none of the cabinet were hurt, though four other people received minor injuries, including two police officers. The other two shells overshot Downing Street and landed on a green nearby. After the mortar shells were launched, a pre-set incendiary device designed to destroy any forensic evidence, exploded and set the van on fire. 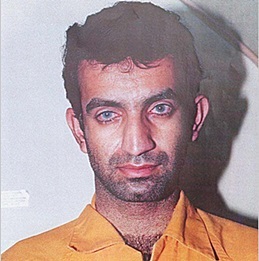 1995 – Ramzi Yousef, the mastermind of the 1993 World Trade Center bombing, was arrested in Islamabad, Pakistan. Yousef was also a co-conspirator in the Bojinka plot in which terrorists planned to assassinate Pope John Paul II, blow up 11 airliners in flight from Asia to the United States (with the goal of killing approximately 4,000 passengers) and crash a plane into the headquarters of the CIA in Virginia. After being extradited to the U.S., Yousef was tried, along with two co-conspirators and was found guilty of masterminding the 1993 bombing and for planning the Bojinka plot. He received two life sentences plus 240 years and is serving his sentence at the high-security Supermax prison ADX Florence in Florence, Colorado. 2001 – Actress, singer/songwriter Dale Evans died of congestive heart failure at the age of 88. Evans had a productive career as a jazz, swing, and big band singer that led to a screen test and over thirty movie roles during the 1940s before she met Roy Rogers, the man who would become her husband. 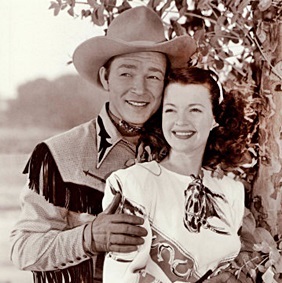 From 1951-57, Evans and Rogers starred in the highly successful television series The Roy Rogers Show. That program featured the theme song, Happy Trails, which was written by Evans. 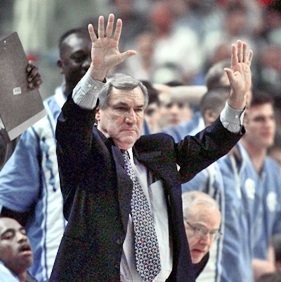 2015 – Dean Smith, head basketball coach at the University of North Carolina for 36 years, died at the age of 83 after a long illness in which he was suffering from dementia. He recorded 879 victories during his storied coaching career and reached 11 Final Fours, won two National Championships, 13 Atlantic Coast Conference tournament titles, an NIT title, and coached the U.S. Olympic team to the gold medal in 1976. Great read Ray!! I do think that that scumbag Mengele’s death was too easy for the horrible things he did and all the innocent people lost … I hope he suffered when he drowned! Penny, I had the same thoughts about Mengele when I was writing the column. His death was far too easy for a man who put so many through hell. Ramzi Yousef is still alive and well, we are paying for his room and board. I would so rather he drown somewhere and not living off us! I want to be a nice person. Thoughts like this keep me aware of my shortcomings!! I’m not sure you can call what Yousef is doing “living” but I understand your point. Ray, you are correct he is not living the High Life. Gone but not forgottenn, thorn in the side, nagging tooth ache, happy, then the memory comes back. He will never see the error of his ways, nor is he living in remorse or regret. he is, was, and always will be an evil coward. I hope he lives to be 110 and begs for death every day for the last 30 years of his life … and I don’t feel bad for feeling that way. I am very familiar with QB VII. One of the best works Uris ever wrote.